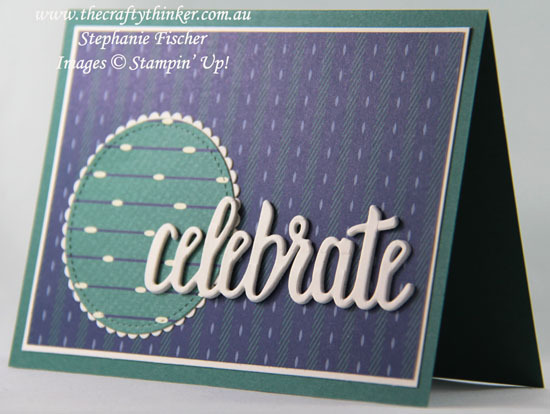 In need of a masculine card, I reached for the True Gentleman Designer Series Paper and played with some layers. 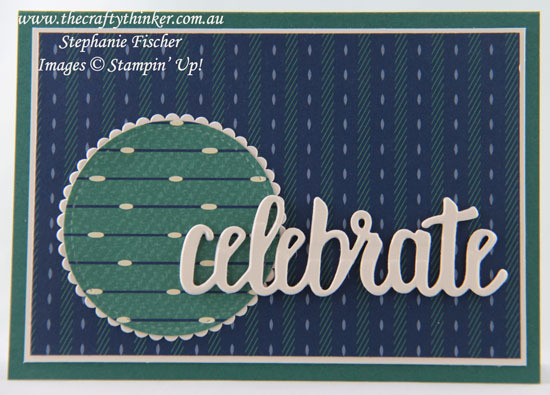 In order to keep it simple, I just added the word Celebrate cut with one of the dies in the Celebrate You die set. For depth and some interest, I cut a top of layer from Very Vanilla cardstock and stacked it on top of two layers of a thick white packaging card. Using the Multipurpose Adhesive Sheets makes easy work of this. The Celebrate You Thinlits are FREE with a purchase of $180 until the end of March. With a week of Sale-A-Bration left, take a look at my Specials & Promotions page for all the information about the great savings and opportunities that are available only until the end of March.